Tank setup: Planted tank, preferably with a sand substrate. Compatibility: Community, peaceful with all other fish. Feeding: Omnivore: Sinking pellets, granular foods and wafers, frozen and/or live foods. Sexing: Adult females are larger and thicker-bodied than males. Breeding: Easy to breed, spawns in typical Corydoras fashion. 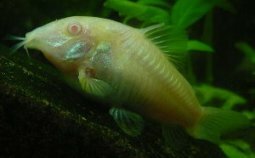 Comments: The natural and albino colour forms of this species are probably the most commonly encountered of the Corydoras. They are hardy and make an excellent addition to any peaceful community aquarium. 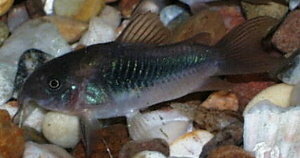 Like all Corydoras, they are best kept in a group, where they will be bolder and more active.